Dallas broker Heather Anderson thinks real estate is poised for a technology revolution, and she has partnered with the brokerage startup SQFTx LLC to be a part of it. Anderson’s brokerage, REConcierges, is one of eight U.S. firms partnering with SQFTx, which is short for “Square Foot exchange.” The 6-month-old startup offers home sellers a cheaper, limited-service alternative to full broker service. For traditional brokers, a SOFTx partnership is a way to offer a limited-service brokerage and capture listings while collecting lower commissions. SQFTx is one part brokerage, one part referral network and one part tech provider. A licensed brokerage in Colorado and New York, it partners with brokerages on a referral basis. Brokers must change the way they do business because technology is allowing consumers to transact in new ways, according to Anderson. A perfect storm of technology, the rise of tech-bred 20- and 30-somethings ready to transact and market conditions has set the scene for SQFTx’s launch, the firm’s CEO and co-founder, James Simpson, told Inman. Simpson, who’s run several traditional brokerages in the past, believes millennials want something different in real estate. After “lots of noodling,” SQFTx is his answer. However, unlike other referral networks, SQFTx’s model doesn’t require agent involvement. Because agents don’t have to be involved in the SQFTx-powered process, brokerages collect approximately the same amount as they do on a full-service, agent-led transaction, even though they split the 1 percent listing commission with SQFTx, Simpson said. And because brokerages leverage their existing infrastructure to assist sellers, the SQFTx platform is a relatively easy one for firms to incorporate, he added. SQFTx targets its tech toward sellers who want to list and show their homes themselves — and recoup some financial benefit for doing so — but who also still want brokerage support. Simpson said the platform gives sellers an option that falls somewhere between a traditional brokerage and going it alone. “We saw commission committed by sellers that they didn’t necessarily want to pay,” Simpson said. SQFTx wants to make sellers feel like they can test the platform out without committing their whole home-sale process to it, so it uses a 60-day listing agreement — much shorter than the common six-month term. Sellers do the heavy lifting through SQFTx, but they also get a discount. In exchange for sharing the listing load — including showing the home themselves, with SQFTx’s platform as a guide — sellers pay a 1 percent commission fee on the listing side and, at most, 2 percent to a buyer’s agent. Sellers also shell out a $300 fee for each transaction, which goes to the affiliate if there is one and to SQFTx if there’s not. SQFTx and its partner brokerage split the listing-side commission 50-50. Unrepresented buyers who find a SQFTx listing get a rebate, Simpson said. SQFTx works with its brokerage referral partners on a geographically exclusive basis. Those territories can range from as small as a ZIP code to as broad as several states. Sample screen shots of SQFT screens a seller would see. Partner brokerages pay SQFTx a monthly marketing fee. That fee varies depending on the size of the territory and the specifics of the market. Simpson said the monthly fee, which SQFTx matches, stands at approximately $5,000 at the metro level. For the first 90 days of the partnership, SQFTx and its partner brokerages commit that money to local marketing. After that period, the two firms re-evaluate the marketing spend and the split, Simpson said. To add a local flavor to its different markets, SQFTx tacks on a geographic marker to its name. In Texas, for example, it goes by “SQFT | TX.” It reaches down to the city level, too: SQFT | LA. In areas where SQFTx doesn’t have a partner brokerage, it either handles the transaction itself (if the seller’s in Colorado or New York) or it works out a one-off referral agreement with a local broker. Sellers either find SQFTx’s mobile app themselves or through one of the firm’s partner brokerages, who can offer the platform as a low-cost alternative to full-service. 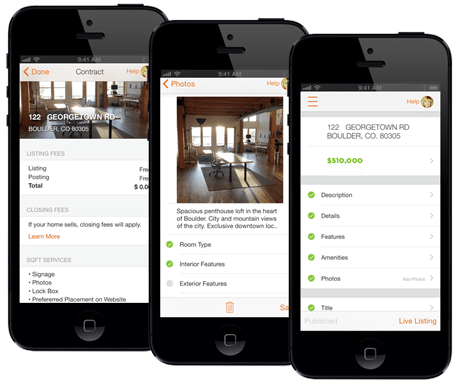 The SQFTx mobile app walks sellers through the process of listing their homes. Sellers enter their address, set a price, take and upload photographs with a mobile device, write a home description and enter details like number of beds and baths, and then do a final review of the listing. A SQFTx rep explains this process in a video users can access through the app. 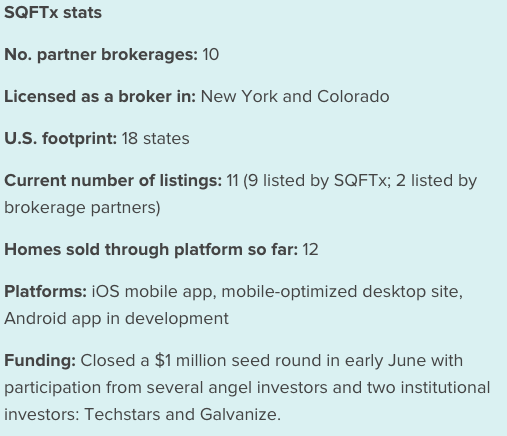 In areas where SQFTx has a local brokerage partner, the platform connects the two. Once they confirm the accuracy of the listing they’ve built in SQFTx, sellers send it to SQFTx’s local affiliate, or to SQFTx itself if there’s no partner brokerage in the region. Once the brokerage reviews and approves the listing, it lists the home in the local multiple listing service and SQFTx broadcasts it to over 450 portals. “(Brokers and agents) don’t find homes for buyers anymore,” Anderson told Inman. 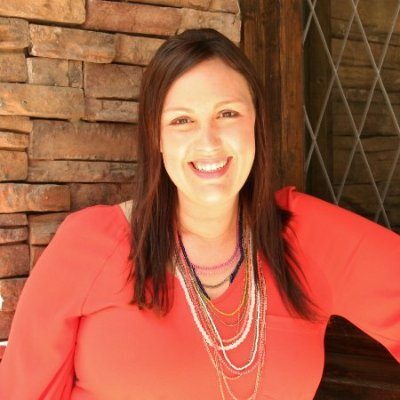 And, as the tech-bred younger generation grows into homeownership and begins buying and selling homes with the expectation of more control, involvement and cost-efficiency that technology allows, it’s just a matter of time before that buy-side trend bleeds into real estate as a whole, she said. That’s why she and her REConcierges partner, Jay Remley, global director of Google Maps, turned to SQFTx. It’s just one tool the firm can use to stay relevant as real estate habits change, Anderson said. REConcierges signed on with SQFTx in early May and has received one listing through the platform so far but has yet to proactively offer it as an alternative to its sellers. 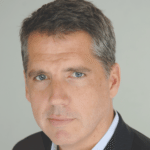 Depending on the traction and demand that SQFTx engenders, REConcierges will consider recording a series of short videos to aid its SQFTx sellers, Anderson said. It’s also looking into producing a frequently asked questions guide. “There’s no doubt in my mind that SQFTx will have success,” Anderson said. Anderson, 35, might know; she’s a millennial herself.